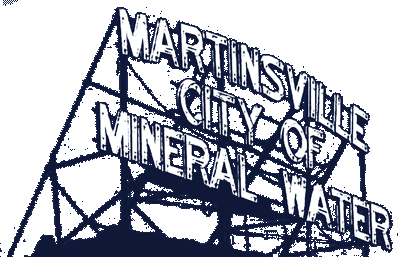 Mayor Shannon Kohl called the Martinsville Common Council to order on Monday, January 7, 2019. Councilman Ben Merida led the Prayer to those in attendance. Mayor Kohl then led the attendees in the Pledge of Allegiance. A motion was made by Councilman Terry Buster to waive the reading of the minutes of December 17, 2018 and to accept the minutes as written. Councilman Mike Lanam seconded the motion. The Motion passes 4-0-1. Councilman Phil Deckard II abstained due to absence. Mayor Kohl announced the January Council meeting scheduled for the 22nd, has been moved to January 28th due to another scheduling conflict. Mayor Kohl met recently with ORCA (Office of Rural Community Affairs) regarding grants. The Street Department filled 50 potholes today. Finally, the Water Department has completed the project at 620 E. Pike Street. Mayor Kohl introduced Jason King, C.O.O. for IU Health Morgan. Mr. King explained behavioral health initiatives were pulled out of the hospital in 2016. Many of those services will be returning. The Emergency Department has secured funding for telemedicine for behavioral medicine beginning in February. There will be Peer-Recover coaches on-site four days a week; Catholic Charities has started seeing all ages of patients in an out-patient setting; a $100,000.00 has been received from the Kendrick Foundation. City Engineer Josh Messmer reported three requests for Community Crossing grants were made in 2018. Two have been accepted. There will be 4.4 miles of streets to be paved with the grants in 2019. Election of Council President – This item was tabled until January 28, 2019. A motion to accept the claims as reported was made by Councilman Terry Buster and seconded by Councilman Phil Deckard II. The Motion passes 5-0. Public comments were heard from citizens John Badger and Cecelia Kreft. There being no further business, Councilman Terry Buster made a motion to adjourn. This was seconded by Councilman Phil Deckard II. The Motion passes 5-0.